All business owners work with one main perspective in mind-to increase profits by expanding the business. To achieve this purpose they can rely on professional business advisers viz. Advertising and Marketing agencies. By the usage of marketing tactics such as market research, strategy development, product development etc. ad campaigns are created to help communicate with the target audience and deliver the brand messages through various media. Direct marketing can also be done to help get a one on one approach with the audience. A choice amongst all these options is dependent on the resources available with the client. Contrary to common belief, advertising and marketing are two separate genres of this industry. Adverting utilizes skills such as media planning and people with creative dexterity who are adept in delivering communication messages to the right audiences. Whereas marketing strategies utilize a consultative approach which has a broader scope than typical advertising skills. The lines between the two departments are a little blurred and the services usually overlap which is why some people confuse it to mean the same thing. Also, this is why most agencies offer both services. But hiring and agency will always prove advantageous for any business as an agency serves multifarious purposes. The first and most important benefit is of course, business expansion. The use of varied marketing and advertising tactics, communicating the brand message through all kinds of media available helps the client reach a wide yet relevant audience. The use of different mediums also helps keeping the message fresh. It does not seem repetitive and monotonous. Secondly, advertising helps save money. Sure, you have to invest money in it but the return on this investment is manifold. 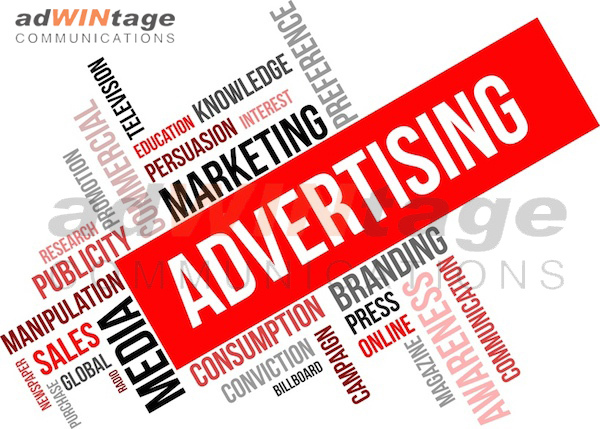 People often think that it would be a waste of money to advertise but they don’t realize that the cost of producing an in house ad campaign will put a lot of strain on their resources; especially, if they do not have the expertise or apt manpower to carry out these operations. They might end up spending more money than earning out of it. So, it is always better to leave it to the experts. The ad agency will study the brand and its market inside out and then based on the inferences drawn from this research an ad campaign will be designed. Another research will be made on the media, wherein the amount to be invested in each media is decided according to its productivity and utility. This gives the client optimal use of its financial resources and effective advertising in each media. Thirdly, it will save the client a lot of time. They won’t have to spend extra time on designing ads. The client can concentrate on their own work while the adverting agency comes up with the entire campaign and media plan. Lastly, a very important benefit of marketing and advertising is brand development. Developing the correct image of a brand is a complex procedure but advertising can make it simple. In a nutshell, we can conclude that a Marketing and Adverting agency is vital to any business or product for expansion and profits. The investment made on an agency will almost always yield positive results for the client.